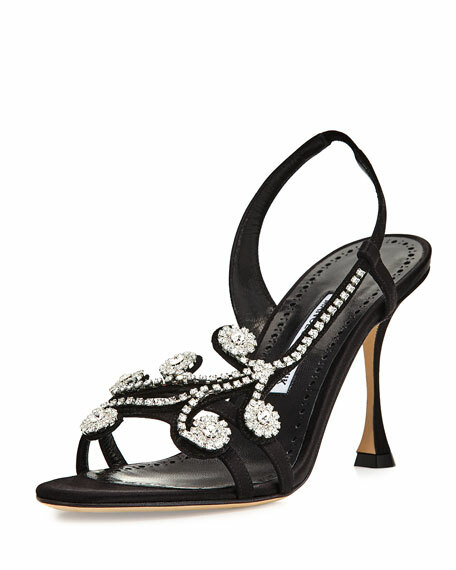 Manolo Blahnik satin and leather evening sandal with crystal embellishments. "Fernusan" is made in Italy. For in-store inquiries, use sku #2092780.